My reason for writing about forgiving infidelity is multi-fold. When a womanizing boyfriend cheated on me when I was in my early 20's, it was devastating. I never received an apology. No one ever said that they understood my pain. I was expected to swallot it and get on with it. Feeling invisible for many years, I held on to my anger and hurt. But finally, I realized that my anger was only hurting myself. Looking back, this difficult process of forgiveness was the beginning of my own spiritual awakening. 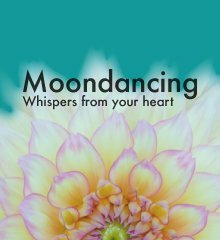 I wrote about the experience (thematically) in my novel, Moondance, which follows my character Althea from anger and blame to awakening and forgiveness. Because learning real forgiveness (rather than the superficial kind) is critical if you're commited to spiritual awakening, enlightenment and growth. The infidelities of Tiger Woods, Jesse James, David Letterman, John Edwards, David Duchovny and more dominate our media, striking fear into the hearts of mated people everywhere. Yet the choice of forgiving infidelity is personal, gut-wrenching and complex. What the media doesn't talk about, are the spiritual and karmic aspects of unfaithfulness and that's where my interest lies. Not only the bad behavior of the cheating spouse... but the (unconscious) choice made by the person who was betrayed. From a spiritual and karmic perspective, why did Elin Nordegren choose Tiger? Why did Tea Leoni choose David? Why did Sandra Bullock choose Jesse? I don't know these folks, and I certainly can't speculate why their souls chose their cheating spouse. I believe that each of us can only answer karmic questions about ourselves. However, for those of you motivated to move past blame and look deeper, using reincarnation and karma as a lens, for some, can offer a way to understand and heal. American clairvoyant Edgar Cayce offers an insightful perspective on infidelity, using the lens of reincarnation, karma and past lives. The following ideas are not mine. They were carefully excerpted from the book Many Mansions — The Edgar Cayce Story on Reincarnation by Gina Cerminara. 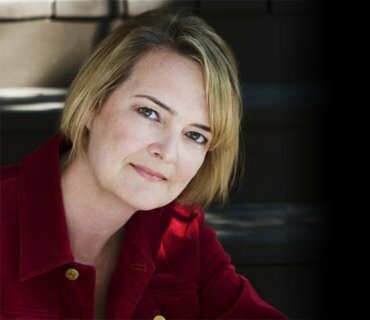 This information from the most documented American clairvoyant offers a unique, complex view of soulmates and reincarnation... and infidelity in marriage. If this resonates for you in any way, I encourage you to read more about the man and his work which is impossible to summarize in a short web article. Warning! The following information isn't for those who need easy answers. But, for those who want an empowering way to forgive infidelity, there is much here to consider. According to Edgar Cayce, there are many causes of infidelity, spanning biological, psychological and social factors. According to the Cayce readings, in some cases, infidelity has origins in past lifetimes. In other words, ‘karmic’ origins. So Mary's unfaithfulness to John today, may be due to the fact that John ‘deserved’ this treatment because of his unfaithfulness to his wife in ancient Rome. A situation not of ‘punishing’ John, but of balancing. As Cayce says about karma: in life, we often ‘meet ourselves’ [i.e. we often meet our behaviour from past lives in the traits of others in this life]. In the Cayce material, there are three cases for which karma clearly appears to be the reason for infidelity. Food for thought, especially if you're thinking about forgiving infidelity. One cannot possibly cover such a complex topic in one article. So I highly encourage you to read more on Edgar Cayce if you are interested in this topic. The husband of a mother of two had been having an affair for eight years. She had known about it for the past two. When she asked Cayce why she was going through this experience, Cayce said: “because of your own unfaithfulness in the experience before this." A woman who, during a lifetime in the French court, had been shamelessly unfaithful. She was now ‘meeting’ the same situation again with her unfaithful present husband, who had been her principal paramour in the earlier incarnation. A woman whose husband drank excessively had one affair after another, even bringing a woman into their home. The wife had known and remained faithful for years, even becoming infected with STDs. Cayce said that the situation was due to her past life as the illigitimate Japanese daughter of one of Commodore Perry's sailors. Now, not all cases of infidelity are karmic. Cayce suggests that the best way to determine if a situation is karmic, is to ask if there's sufficient ‘provocation’ in the present. In other words, is it a case of ‘quick’ karma? Forgiving infidelity might be one of the hardest things you or anyone ever has to do. I highly recommend also investigating relationship expert Harville Hendrix to help you sort through the complexities. Indeed, the path to forgiveness is not always a comfortable or simple one. Whatever you choose, know that there is hope, there is a light beyond just ‘surviving infidelity’, and that if you continue to ask, to search, to dig deep and to grow you will heal your heart, emerge even stronger and — if it's something you desire — create a peaceful life with a soulmate. Whether it's with your current partner on a new level, or with someone new you haven't even imagined yet. May you be successful in freeing yourself... by forgiving infidelity. Edgar Cayce reincarnation – More fascinating facts about America's most documented psychic. 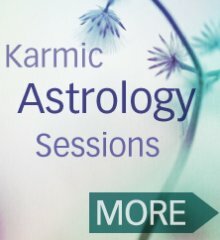 Learn about myprivate karmic astrology sessions now.